I know that Easter means different things to different people. Regardless, a lot of us indulge in chocolate Easter Eggs as part of the celebration. Yesterday, I made Easter Eggs for the first time. I am not sure I am proud that I made chocolate eggs which probably have at least one million calories in every bite but I am proud that they turned out in one piece and I know what they are made of. Now, I am a huge chocolate fan, but I must admit that this year I was turned off by the mass-produced eggs and the half a ton of packaging which accompanies each one. So, I thought I would put my money where my mouth is and have a go at making some myself. Yesterday, as I was knee deep in chocolate, I wasn't so sure that I had made the right decision. Today, I am pleased I did. Simply because it was a great deal of fun. So here are a few to show you. I don't think I will be giving any Chocolatier a run for their money but I now intend to do a lot more in the future. 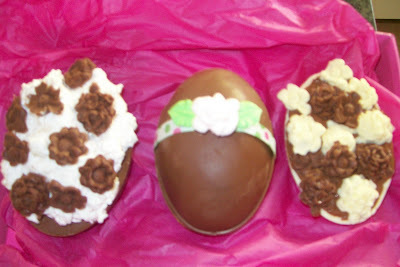 The first egg I made on the left has a solid chocolate base and is topped with marshmallow, nuts and decorated with a variety of chocolate flowers. The second one is a hollow egg decorated with a ribbon and icing flower and the third egg has a solid almond white chocolate base with a selection of white, milk and dark chocolate flowers. 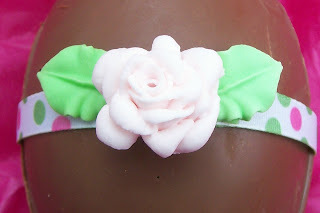 I remember, as a child, getting Easter eggs made from icing that were very intricately decorated with a lot of love and attention by my mother. It's funny how you don't appreciate things sometimes until you are much older. Her lovely sweet delicacies were filled with chocolates and probably took us no time at all to consume. 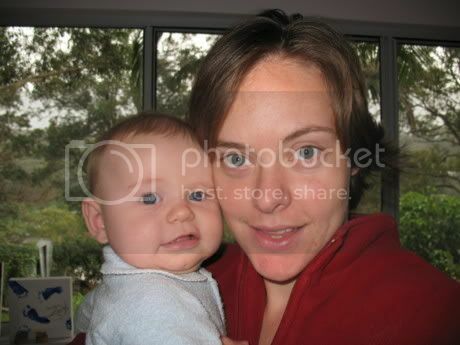 They are lovely memories to treasure though. And, while I am on the subject of chocolate, if there are any serious chocolate lovers out there who are always looking for the best chocolate in the world, try the Tuscan based chocolatier, Ameidi. I really hope that I can fulfil my dream of visiting there one day. Read some more about Ameidi here. I have 3 children that love to mess in the kitchen. Would you mind sending me the recipe for those wonderful eggs .. I am not a chef but I would love to try them. I LOVE CHOCOLATE!!! My husband would faint if I made something as delicious as those look.. Have a blessed Easter!!! Oooohhhh my mouth is watering already.MMMM,Would love to see the recipe too on your blog.Now I can't stop thinking about chocolates again. Thanks for stopping by. I will send you the recipe for them, so easy really.You just need to get the moulds - thats the hardest bit. Hope you had a lovely day with your families too! they look fab!!! you are so creative! we tried to make chocolate eggs in those plastic mould thingy's & failed miserably...then i put on at least a kilo from eating all the chocolate! Welcome Mel. The whole fun is in the making regardless how they tun out because the good thing it is all edible. You only put on a kilo I think I put on 5 literally! Over chocolate for a while now! !